Prominent & Leading Manufacturer from Jaipur, we offer disposable face mask. 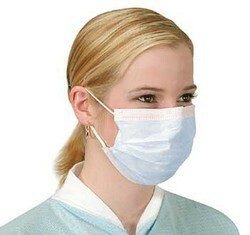 Leveraging on our industrious workforce, we are involved in the offering Disposable Face Mask. As its name implies, these face masks are worn by the professionals. After its usage, you could dispose of these masks easily. These face masks are available in various range and specification. We have taken full care to ensure that these are completely fabricated according to the desired expectation of the clients.